We Need Your Art and Articles! 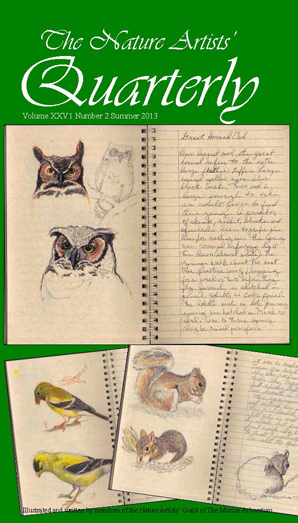 Members, please submit your artwork, or articles you have written about art or nature to Evelyn Grala for our quarterly publication, The Nature Artists’ Quarterly. Please check your current Quarterly for details, or contact Evelyn at the e-mail address listed in your Yearbook. We look forward to seeing your contributions in the next issue! This entry was posted in Member Artwork, Volunteer!. Bookmark the permalink. ← What a Pretty Paint-Out!